sportsmatrix » A Battle for Perfection: Can Neuer Grab the Golden Ball? The road to the 59th Ballon d’Or starts here. We look at the three contenders – Lionel Messi, Manuel Neuer and Cristiano Ronaldo – beginning with Neuer, the man hoping to become only the 2nd goalkeeper to win the award after legendary Soviet stopper Lev Yashin in 1963. For obvious reasons, it is tricky, and almost certainly a compromise in accuracy, to compare a goalkeeper’s stats directly with the two forwards contesting the awards, but we can still see a clear picture by making comparisons with the other men between the sticks. Neuer was one of several World Cup-winning Germans to stake a viable claim for inclusion in the shortlist for the Ballon d’Or, FIFA’s recognition of the World Player of the Year. His data from the Brazil 2014 tournament stacks up very favourably against the other keepers in the competition – 12.5% of shots on target resulted in goals when Neuer was in goal, compared to a 26.1% average for the rest. Neuer’s 30.8% ‘good’ actions from 1-on-1 situations is nearly 5% higher than the 25.9% average, while his 75% ‘good’ actions from pass interception attempts far exceeds the 60.4% of the other goalkeepers – the reason why Neuer is known as the ‘sweeper-keeper’. But what are the chances of Neuer – who took a Bundesliga medal with Bayern Munich this year, as well as reaching the Champions League semi-finals – winning the award ahead of two of the game’s greats; Messi and Ronaldo? The bookies do give Neuer a chance, and have installed him as second favourite behind most people’s tip – two-time winner Ronaldo. And it is clear that the former Schalke player, the first goalkeeper since Oliver Kahn in 2002 to make the shortlist, is no ordinary stopper. His distribution is extraordinary in every sense of the word. While the average World Cup goalkeeper pumped the ball long 71.1% of the time, for Neuer this average was 27.9%, with 72.1% of his output being passes or throws. If flawless is impossible, in the Bundesliga over the past 12 months Neuer has come as close as you can get. In last season’s title winning campaign, Bayern shipped only 23 goals, and this season they have been just as frugal, shipping only 3. Taking his club stats for 2014, the qualification period for the Ballon d’Or, the 2.8% average of his actions classed as ‘mistakes’ per game compares favourably with the league average of 9.8%. 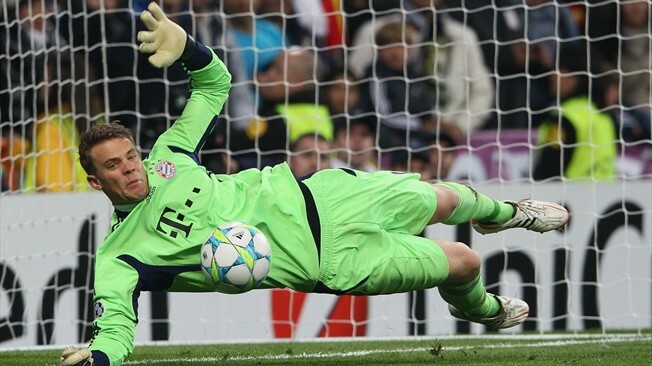 While Neuer is unrelentingly reliable, he is also regularly exhibits the type of the match-winning dives that catapult goalkeepers to fame – 16.5% of his saves over 2014 in domestic competition were classed as ‘spectacular’, contrasting with the 8.2% average from his adversaries in the Bundesliga. Is there a chink in Neuer’s armour? Interestingly, the 6ft 4″ German recorded an 8.5% average of lost possessions from all his actions, which works out slightly more than the league average (8.4%). 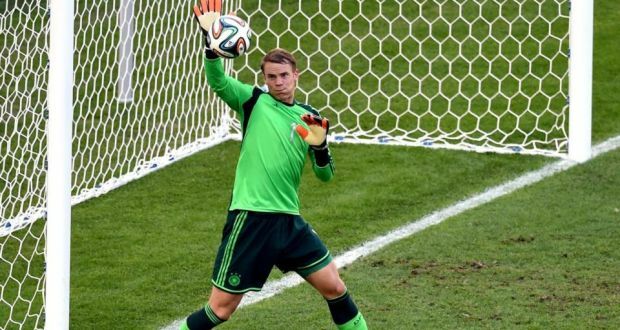 In another year, in another era, Neuer might have stood a better chance. But can one of the leaders of Germany’s golden generation beat ‘Mr Perfect’ himself, to take the most coveted personal prize in world football? We will find out on the 12th January. « Happy Hammers – How have West Ham transformed themselves this season?